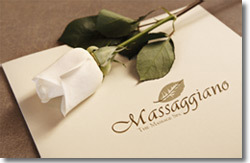 If you are looking for information on the Massaggiano franchise business opportunity, Massaggiano Message Spa franchises or Massaggiano Massage franchising, then you have come to the right place. Love your Job...Live your Dream! If you are looking for a NEW concept in a strong, fast growing industry backed by a franchisor that cares about you and your success - then Massaggiano is the franchise for you! The Spa industry is extremely strong and continues to grow at an amazing pace. In fact, the Spa industry is the 4th largest leisure industry in the United States and its revenues continually surpass those of box office and amusement parks. Consumers are spending between 5 billion to 7 billion a year on visits to massage therapists. As the benefits of massage including: Relief in Acute and Chronic Pain, Improved Circulation, Reduced Anxiety and Depression, Decreased Blood Pressure, Improved Immune System, Improved Quality of Sleep become more widely known - the demand for massage therapy will become even greater. Unlike other industries that are built on trends or fads, the Spa Industry is timeless and resilient to change - a great massage will never lose its touch. Massaggiano has built a successful business model based on our passion to provide guests with an exceptional experience by offering a consistently great massage, at a fantastic value, in a beautiful, relaxing Tuscan setting. 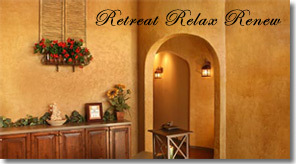 In fact, we have been so successful with our mission that in 2006 we were voted "Best Massage" in the country! As consumers demand for massage has grown, so has the need for an affordable, quality massage that is provided not in a salon or clinic setting, but in a soothing Spa environment. Massaggiano meets the needs of consumers with a membership based Massage Spa that encourages guests to make massage therapy a weekly ritual and an addition to their individual health and wellness programs. The membership concept allows guests the ability to afford more massages on a frequent basis and a recurring revenue stream for our franchisees. We are committed to your success and will be with you every step of the way from your site selection, to your grand opening, and your 10th year anniversary. At Massaggiano our corporate philosophy has always been that our internal customers (employees and franchisees) are as important as our external customers. Come join our team and together we can become America's number one choice for Massage therapy. If you are interested in owning your share of this 5 - 7 billion dollar industry, please fill out the form below. We look forward to hearing from you!